After Yugoslavia’s (Serbia) President Slobodan Milosevic refused to accept the so-called Rambouillet Agreement, which in reality was NATO ultimatum that demanded from Serbia and Montenegro to allow NATO troops to occupy the province of Kosovo as well as that NATO can build bases in Serbia, and that all NATO personnel have diplomatic immunity, which means that they could not be held criminally responsible in Serbia and Montenegro, NATO aggression was launched without any authorization from the United Nations. 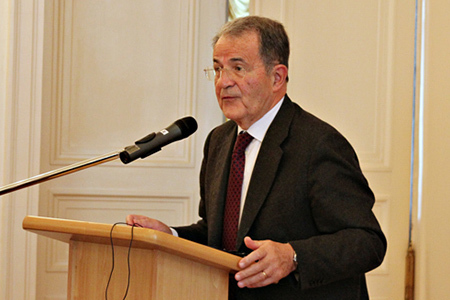 The intervention was called humanitarian under the pretext of stopping the persecution of Albanians. Western media machine led against Serbs constantly negative media campaign. 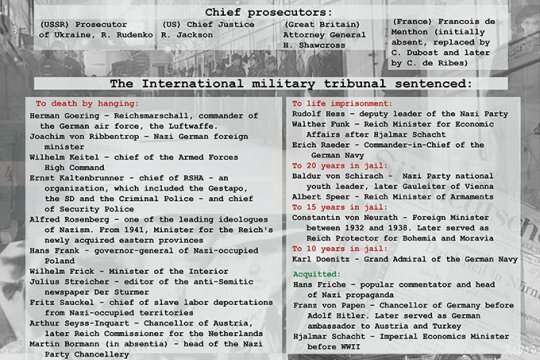 In media presentations by CNN and the BBC, the Serbs were the modern Nazis and Albanians the Jews. After they successfully presented the Serbs as the bad guys, NATO had a free hand to open aggression and excessive force. Western claims about tens of thousands of killed Albanians later turned out to be completely false. The real death toll in Kosovo before NATO aggression was revealed after the war and it was around 2,000 with the majority of the killings committed by the armed terrorist-separatist group, the Kosovo Liberation Army (KLA). The KLA, previously classified by Washington as a terrorist organization, was elevated in the run-up to the war as the sole legitimate representative of Kosovo’s Albanian population. The KLA, working in close collaboration with US sponsors, sought to create as much violence and death as possible in order to pave the way to Western intervention. The central Serbian state ceremony of the 20th anniversary of the NATO aggression and the Day of Remembrance of the victims was held in southern Serbian city Nis, on March 24. Members of the goverment of Serbia, Chairman of the Presidency of Bosnia and Herzegovina Milorad Dodik, Petriarch Irinej, Serbian Army Chief of Staff Milan Mojsilovic, President of Republika Srpska Zeljka Cvijanovic, Ambassadors of Russia and China in Belgrade, Mr. Chepurin and Mr. Chen attended the memorial of the Day of Rememberance for Victims of NATO Aggression. Among those in attendance in the Serbian southern city, were also Prime Minister Ana Brnabic and President Aleksandar Vucic. Addresing the gathering, Aleksandar Vucic said that the death of 2,500 civilians during the NATO aggression, and especially 79 children, will always be a crime for us. For them, it is just a mistake. We will never agree to that. Our people is not a mistake. We are numerically small nation, a nation ready to sacrifice, but also ready to reconciliation, he said. The president said that 1999 we had almost no friends, we were faced with a coalition of rich and powerful who had a clear goal of defeating us, taking from us part of our territory and giving it to somebody else. He pointed out that Serbia today is ten times stronger than in 1999, and stressed that, Serbia like Phoenix bird, recovered from both sanctions and aggression. He expressed gratitude to the Serbs from Kosovo as the best among us, who are guarding their Serbian name. Vucic said that Serbia decided that does not want to be part of the NATO, noting that Serbia does not threaten anyone, but only protect itself. However, if official Belgrade had previously condemned the NATO aggression, this time, President Aleksandar Vucic has pledged Serbia to forgive the Alliance's bombing. Throughout these years Belgrade has qualified bombing as an aggression, similar qualifications in the assessments of the Serbian leadership exist today, but with Vucic things are changing. Vucic's words that Serbia was not sinless at that time and that Serbia should build normal relations with the Alliance practically coincides with the position expressed by NATO Secretary General Jens Stoltenberg on the eve of the anniversary of the aggression. The President of Serbia has canceled at the last moment military parade in city of Nis from March 24 to May 9. With that, Serbian President has made yet another conciliatory gesture. Regardless of the constant assurances of maintaining neutrality and the absence of the desire to join the Alliance, Belgrade actively and productively cooperates with NATO. Serbian army participated in 149 exercises together with the countries of the Alliance. Serbia, which for Russia is a key partner in the Balkans, has taken a number of significant steps towards NATO, signing several agreements. And if the central state ceremony meeting in Nis should have been only a mark of NATO aggression, Serbian president also used this gathering for attacks on the opposition. "They started to demolish Serbia... My message this March 24 is - I am here between you and every year for five years we mark this day, and before that we called it a campaign, we were ashamed to call it with the real name, the crime, aggression. They started to tear down Serbia. I have nothing else to tell you, whatever happens, to me, to any of us, never allow them to destroy the freedom, independence and autonomy of the Republic of Serbia, " stated Vucic. (4) However, this year another scandal marked this 20th anniversary of the NATO aggression. In the Cultural Center of Serbia in Paris, the exhibition "Serbia 1999 - 20 years after - While the bombs fell" was open. But soon the paintings were withdrawn. The reason was that NATO officers would not feel bad. (5) This knowledge provoked anger in the Serbian public, so the Government of Serbia was forced to order that the exhibition be re-presented to everyone. This example from Paris in the best way shows the current foreign policy of Serbia. It is clear to every objective analyst that NATO carried out aggression in 1999 against Serbia and Montenegro. Everything that happened after 1999 proved that NATO's primary goal was not the protection of human rights, but the abuse of this idea for classical geopolitical possession of strategic space, in this case, the southern Serbian province of Kosovo. The Serbian army fought heroically in Kosovo and it was not defeated on the battlefield. The withdrawal of the Serbian army from Kosovo was caused by an open threat from the West that it will exert over Serbia humanitarian destruction of the whole country. When the destruction of infrastructure did not gave results, NATO began hitting hospitals, trains full of passengers and throwing away so-called graphite bombs that destroyed the electrical network and left entire cities without electricity. Cluster bombs were thrown in the cities, and bombardment of depleted uranium kills Serbs even today. NATO forces continued aggression on the rest of Serbia, by other means. Immediately after the bombing the regime change operation was supported, after which embassies of Western countries and international organizations that the West controlled began to "reform Serbia". Shortly after the arrival of pro-Western authorities in Serbia, in October 2000, "the reform of the Serbian army" began. The majority of proven war officers were retired, while the number of soldiers was so low, to the level, at which the security of the country was seriously threatened. Through its agents of influence, the West played a major role in separating Montenegro from Serbia. High and primary education were, and still are literally destroyed, media has been dominated by foreign corporations. Yet again, two decades later, despite its propaganda and corruption of the elite, NATO is still undesirable among the ordinary people. Montenegro became a member of NATO by political violence, against the will of the citizens. Serbia and Republika Srpska continue to resist. 862: 30 seconds to mars. 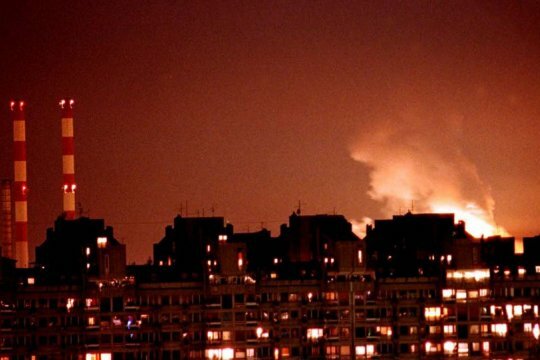 NATO aggression against Serbia - a war that is still going on1 April 2019: NATO aggression against Serbia - a war that is still going on! лучшие комедии. NATO aggression against Serbia - a war that is still going on.